The Twins designated pitcher John Curtiss for assignment on Monday, and on Tuesday they traded him to the Los Angeles Angels for an 18-year-old prospect. Daniel Ozoria, a 5-9, 135-pound infielder who played rookie ball last season, will join the Twins in the deal. A native of the Dominican Republic, he signed with the Angels at age 16. In 111 games in the Los Angeles system over the past two seasons he hit .222 with 27 stolen bases. He has not hit a professional home run. 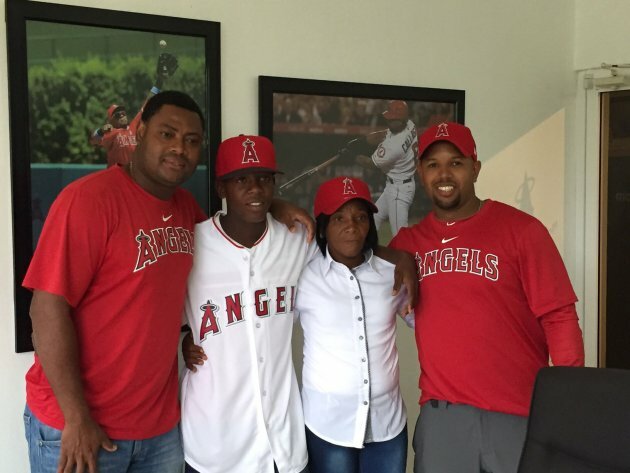 He is pictured above (second from left) with his family when he signed in August of 2016 in a picture tweeted by the Angels. Curtiss pitched in 17 games over the past two seasons for the Twins and was 0-1 with a 7.20 ERA in 15 innings with 17 strikeouts. He was DFA’d to make room on the roster when the Twins signed former Angels reliever Blake Parker on Monday.